We provide a superb range of quality post mix syrups for the discerning customer. As well as Pepsi Cola, ABCO supply other popular soft drink brands including 7-UP Free, Tango Orange, R Whites and Pepsi Max. 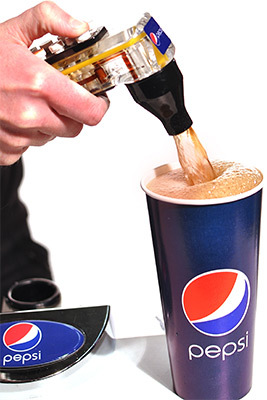 Diet Pepsi Post Mix Syrup. 7-Up Free Post Mix Syrup. ABCO supply all Britvic soft drinks in 12 litre boxes with a bib connector. We also supply dispensers such as branded ‘T’ towers, over counter dispense units and wunderbar guns.